As described in a previous post, my college life culminated in the realization that, after much soul searching and personal exploration, I was destined to pursue a career in planetary science. Believe it or not, the internet was not easily accessible in 1993. In order to research potential graduate schools, I had to trek to the library and peruse a copy of Peterson’s Guide to Graduate School. This volume listed only four schools that offered degrees in planetary science: UCLA, the University of Arizona, Utah State University, and Washington University in St. Louis. I applied to UCLA, UA, and Washington University – and was accepted at all three institutions. My decision on which school to attend was largely driven by the different responses I received. UCLA admitted me to their program – but wanted me to pay full out-of-state tuition without any offer of a graduate assistantship. The response from UA was confusing and I could not get a straight answer as to the level of their financial commitment. Instead, I was told that it was up to each student to find an advisor to financially support them (which is pretty much the same answer we give incoming students at UA today). Washington University, on the other hand, really rolled out the red carpet. I got a phone call from Bill McKinnon in the spring of 1993 informing me that I was admitted to the graduate program in Earth and Planetary Sciences at Washington University. Furthermore, I was invited to attend a graduate student prospective weekend along with the other potential incoming students. I arranged for a visit to St. Louis in April, right as the Great Flood of 1993 was getting started. Several things struck me right away when I arrived at Washington University. First, there was immediate synergy between all the prospective graduate students. It was immediately clear that grad school would be a lot of fun and that a strong peer-support network was in place. Second, there was a large number of beautiful women studying planetary science in St. Louis – one of whom caught my eye right away (and whom I would go on to marry). Third, the program made it clear that they really wanted to recruit me – offering me a McDonnell Fellowship for Space Science and a research position with Professor Ray Arvidson. Ray was anxiously awaiting the arrival of the Mars Observer spacecraft later that year. He informed me that I could be at the forefront of modern Mars exploration. 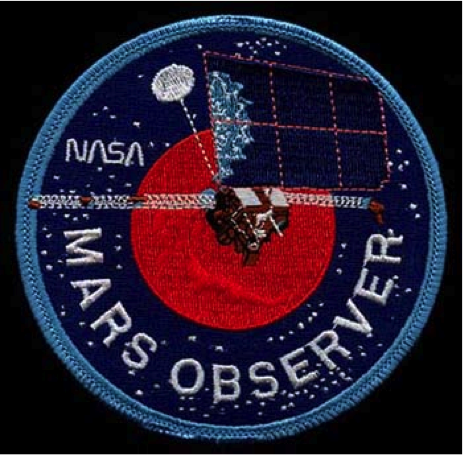 Mars Observer was to be the first spacecraft to study Mars since the Viking 1 lander ceased communicating with Earth in 1982, the result of human error during a software update that caused the lander’s antenna to go down. As soon as I got back to Tucson I decided to pack up everything I owned, which didn’t amount to much, and head to St. Louis. Being at the end of my college career, I was pretty much flat broke. I ended up selling my beloved VW Bus to pay for the move. 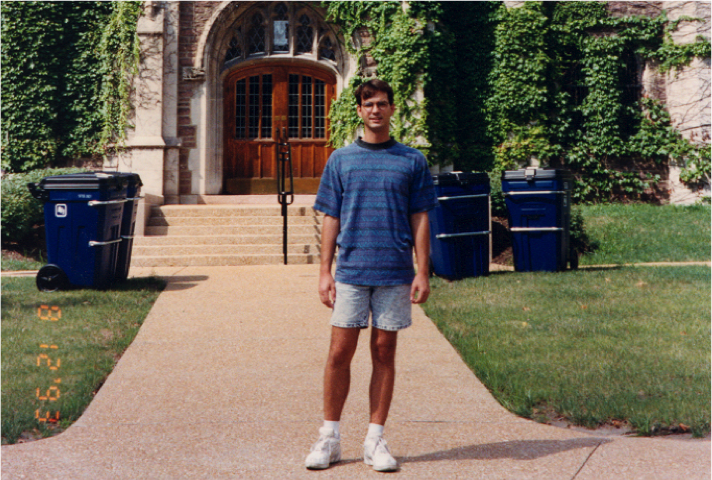 I arrived in St. Louis on July 1, 1993, anxious to get to work exploring Mars. Unfortunately, communication with the Mars Observer spacecraft was lost on August 21, three days prior to orbital insertion. 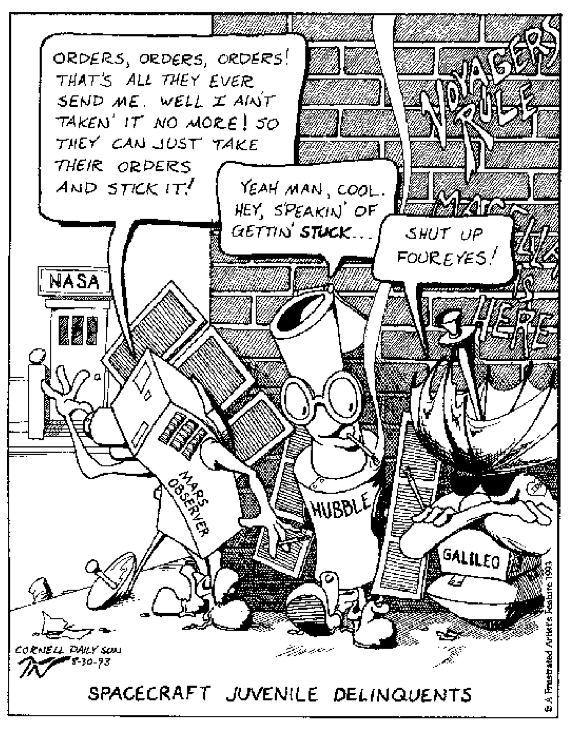 This failure was a major blow to space science, and followed the high-profile issues with the Galileo probe on its way to Jupiter – whose high-gain antenna failed to fully deploy after its first flyby of Earth – and the Hubble Space Telescope – which was launched with a primary mirror that had been ground to the wrong shape. Since the next Mars mission (Pathfinder) would not be arriving at the Red planet for another four years, I decided to pursue a more hands-on thesis topic for my Ph.D. dissertation. I also swore to myself that I would not get involved in another spacecraft mission – the risk just seemed too high. I decided to return to the topic that first piqued my interest in planetary science – the formation of planetary systems. I was particularly impressed by an early lecture in my Earth Systems Science course by Professor Bruce Fegley on the K-T Boundary mass extinction. I was particularly enthralled with the multi-disciplinary approach to this complex problem. I approached Bruce right after that lecture to talk about potential research projects. I met Bruce in his office later that week to discuss my research interests and potential research projects. When I told him that I was interested in the formation of planetary systems – he replied that I needed to study meteorites. I can honestly say I had no idea as to why the study of meteorites was important to understanding the origin of the Solar System. As I dove into the field of meteoritics, I felt like a whole new set of worlds had opened up for me. Here in my hand were fragments of small planets, preserved over billions of years of Solar System history, just waiting for me to unlock the details hidden in their minerals. My research path forward was set.